we invite companies or individuals to be involved in an exciting community event: Moravian, Czech and Slovak Folklore Festival held on Saturday, May 18, 2019 at La Mesa. We would like to offer you the opportunity to be a part of this exceptional event through the sponsorship or personal donation to help bring us one step closer to cover some of our festival’s costs. 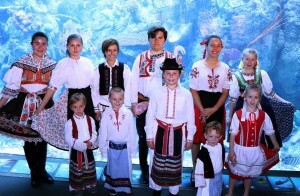 Folklore groups Karicka (adult folklore group) and Podkovicka (children folklore group) humbly appeals to your generosity and asks if you can consider our organization worthy of your sponsorship or donation for our biggest event of the year, this year already 9th Moravian, Czech and Slovak Festival. Its goal is to present Slovak and Czech folk traditions, folk creativity, arts, crafts, exhibition and cuisine to our guests not only from the Slovak and Czech community. Festival has a huge success every year with more than 300 spectators and volunteers. We would like to continue with our mission to save and promote our Czech and Slovak traditions in San Diego. It will be day full of Slovak and Czech Folklore dances, songs, plentiful raffle, Czech a Slovak food, pastries, drinks and enjoyment for all generations. At 2pm Czech Catholic mass service will be served by Mons. Dusan Hladik. After that, Folklore groups Karicka and Podkovicka will be performing, also children from Czech School San Diego. We will have an amazing quests "Jurik and Ariana Lem Joy" coming from New York, and talented "Viliam Csontos" from Slovakia to perform with his brother Zoltan as well. After the main program, dancing floor will open for everybody to enjoy! - you will be listed as a Honored sponsor at our website - you will have opportunity showcase your services, brochures, business cards at free sponsor’s table at Festival. Martina Nemecek email: MartinaNemecek@gmail.com You can send your donation through PayPal using e-mail address anka@priateliaslovenskehofolkloru.com, or write a check (memo: 2019 MCS Festival) to Anna Hradsky, 8462 Buckland St., La Mesa, CA 91942. We are getting ready to print out 2019 Festival brochure soon, so if you are interested to be Festival's Honored sponsor, please let us know as soon as possible. Thank you very much for your consideration and support! Moravian, Czech and Slovak Festival would not be so successful without YOU! It would be a great privilege to have you at 9th Moravian, Czech and Slovak Festival. Kindly, Karicka and Podkovicka. 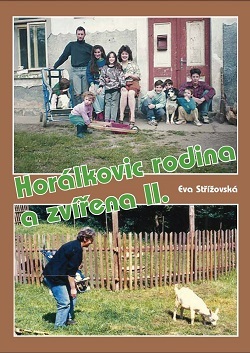 Founder of Moravian, Czech and Slovak Festival.